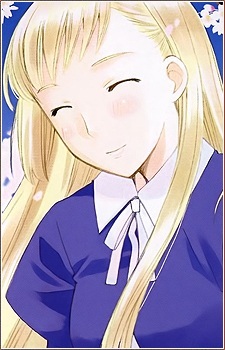 Kinko (golden child) is the older of the two Echigoya sisters. She is a member of her school's student council, which usually keeps her busy as she often comes home late. She doesn't understand her younger sister, Ginko, too well which makes her think that her younger sister hates her. Kinko has an obsession with acquiring bargains from shops and has charged Ginko with acquiring them after her school goes out. Since they're extremely rich, Kinko is as baffled by this obsession as are the Yamada sisters.